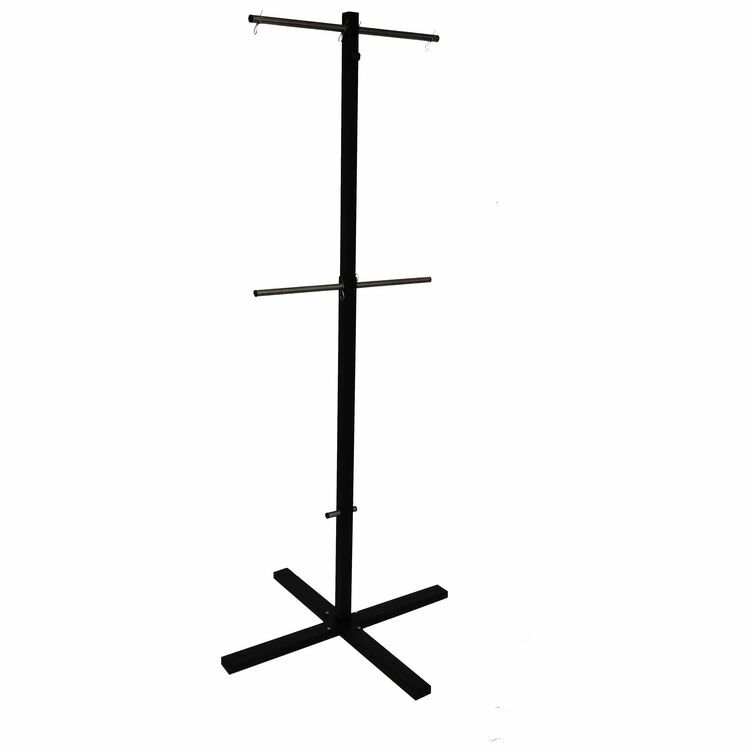 Built from sturdy aluminum, this stand is meant to hold your race suit or a set of wheels. Holds one suit per side with a maximum capacity of two or two wheels per side with a maximum capacity of four. Note: Race suit, race suit dryer, wheels and tire warmers not included.